Driving around the Budapest city looking for the spot to take a nice shot of the city lights, I asked my friend to leave me in the middle of the Margaret Bridge. 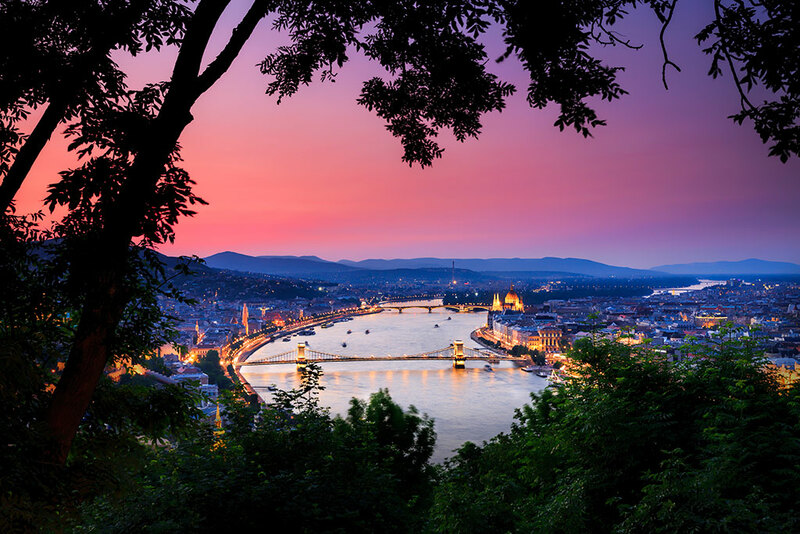 The views from the bridge were exactly what I was looking for, the Danube River divides the Pest side (left) from the Buda side (right). 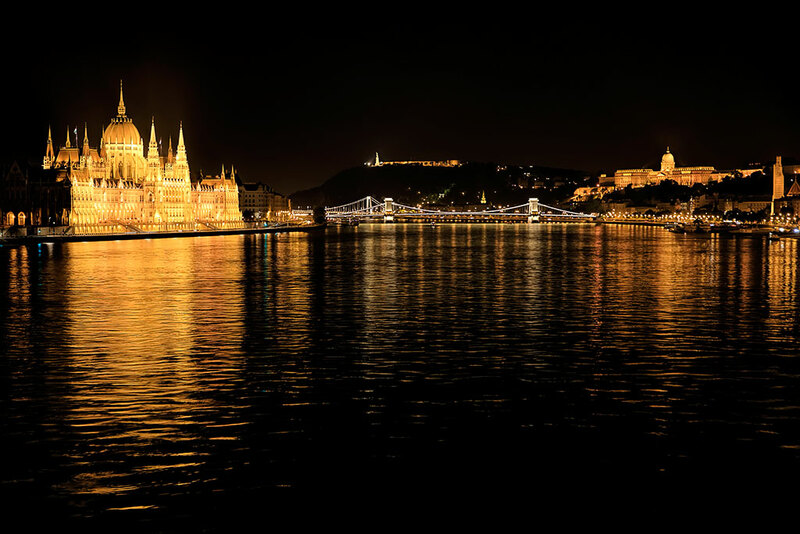 On left side is the Hungarian Parliament Building, on the right side is the Buda Castle and in the center in the hills is the Citadella Fortress.